I have had the SHIELD TV (2017) in my possession for one day now, and so far, I can’t quite tell the difference between this one and the SHIELD TV (2015) I have been using in my house for two years. They’re both Android TV, have access to NVIDIA’s gaming library, and have identical Tegra X1 processors and 3GB RAM. Besides the easily apparent size difference, and with Google Assistant not yet ready for use, it’s almost an identical experience if I’m being completely honest. However, one area that is crazy different would be the updated SHIELD Controller. Obviously the hardware has been redesigned, feeling much better in-hand, but NVIDIA also threw in an IR blaster for both the SHIELD Controller and SHIELD Remote. 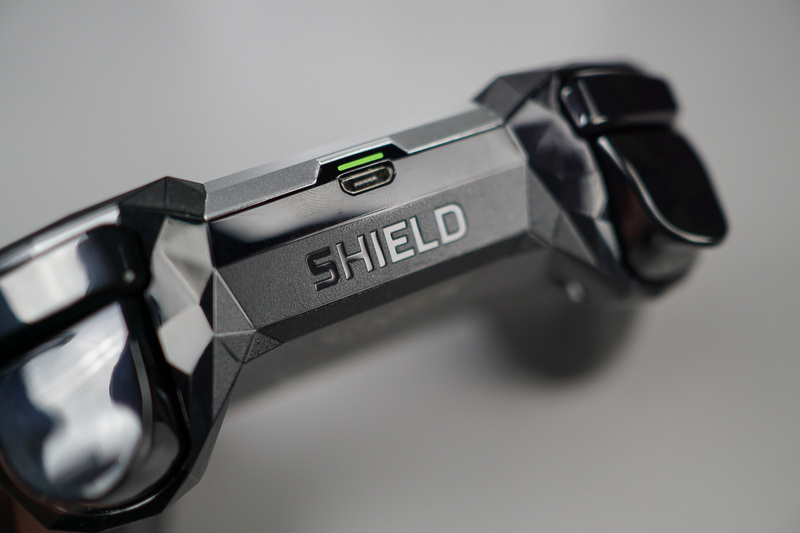 So far, if someone asked me, I’d say the SHIELD Controller is my favorite part about the new SHIELD TV. With that being said, if current SHIELD TV (2015) owners were really eyeing the possibility of picking up a new SHIELD TV (2017), I’d tell them to just pick up the new SHIELD Controller instead. On the technical side, I received confirmation from NVIDIA that the updated SHIELD Controller will work with the SHIELD TV (2015) once it receives the 5.0 Upgrade, which should be taking place within the next week. Provided the update is not yet available, we have not been able to test SHIELD Controller (2017) functionality with the SHIELD TV (2015), but will as soon as the 5.0 Upgrade is made public. If you want to be practical, I’m not seeing any huge reasons buying a new set-top box would benefit you, unless early access to Google Assistant on Android TV outweighs the price you pay. 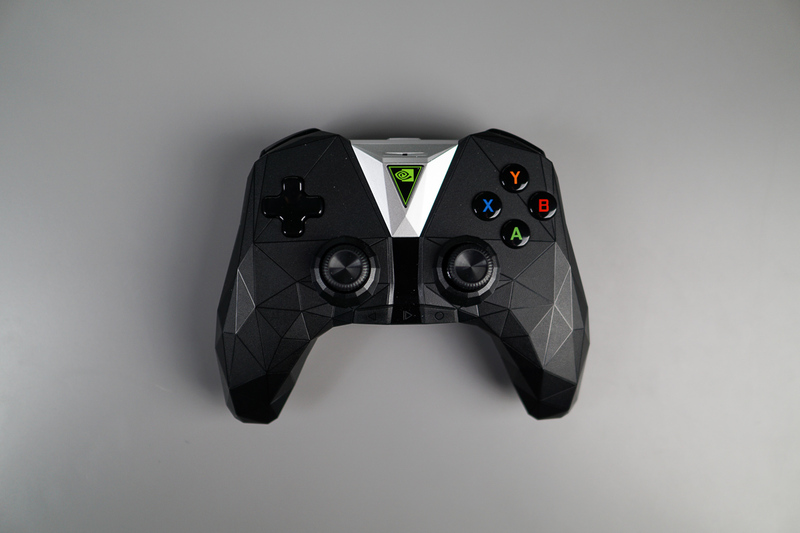 Considering NVIDIA has assured SHIELD TV (2015) owners that they will also receive all of the goodies that come inside the SHIELD TV 5.0 Upgrade, there’s no reason simply using the new SHIELD Controller won’t satisfy your need to have the latest and greatest. As for Google Assistant, once that’s finally made available for SHIELD TV (2017) owners, it should soon make its way to older SHIELD TV models. NVIDIA has yet to specify if and how long Assistant will be an exclusive to the SHIELD TV (2017), but in the long run, it will be made available to all SHIELD TV units, regardless of which model. So, to recap, if you blindfolded me and handed me the SHIELD Controller (2017), took the blindfold off and asked me to tell you whether I was using a SHIELD TV (2015) or SHIELD TV (2017), I don’t know if I’d be able to right off. At this very moment, the only difference is Nougat, but the 2015 model is receiving that in a week. I just don’t see the need for anyone to spend $199 on an upgraded box. TL;DR: Just buy a new SHIELD Controller ($60) if already own a SHIELD TV, it’s the same exact experience. If you don’t own a SHIELD TV, oh my goodness, go out and buy one right now.